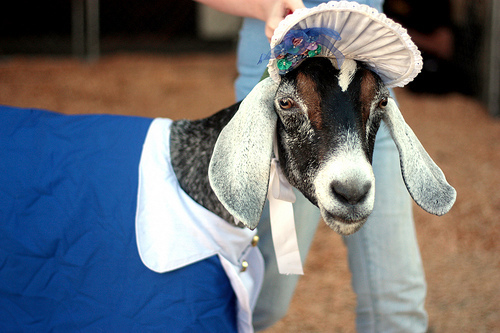 The goats are from the Goat Gala, or the dressed up goat parade. 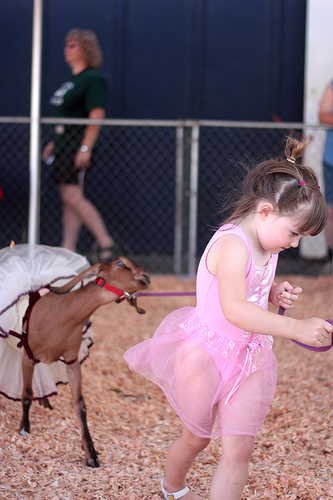 My family raised dairy goats when I was a child so I have a soft spot in my heart for the horizontal-pupiled creatures. Can’t imagine any of ours letting you guys dress them up like that. It looks like the igs are going like a house-afire. What fun it looks. Alaskan racing pigs. 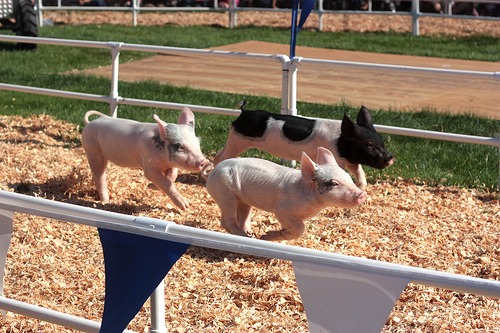 I bet those are better than a plain old racing pig.